Arizona has a potential $303 million marijuana market that could bring in as much as $70 million in tax revenue if the drug were legalized. Financial research firm NerdWallet Inc. examined the potential market size and tax revenue impact if marijuana is legalized. Colorado and Washington state have already legalized cannabis. A legalization measure could be on the Arizona ballot in 2016. NerdWallet estimates there are an estimated 228,100 regular adult marijuana smokers in Arizona. That accounts for 5 percent of the state's population over the age of 25. If pot were legalized that would translate into a $303 million market and possible $70 million worth of Arizona tax collections annually. 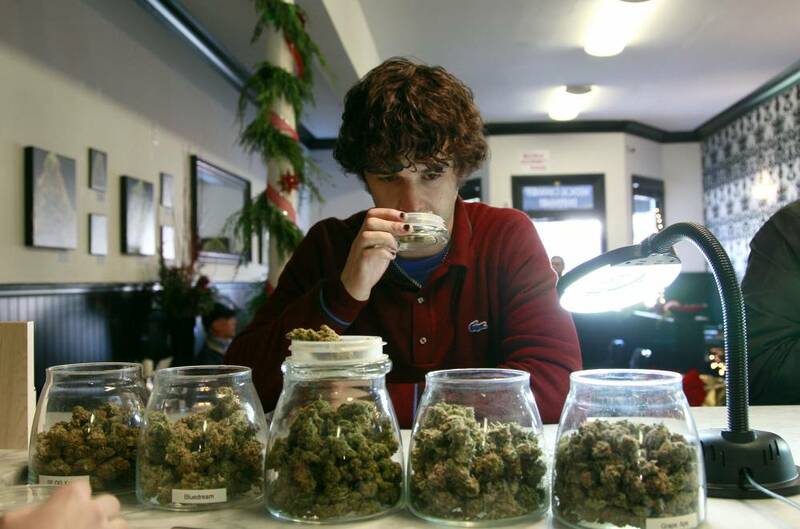 The report estimates 8 percent of adults are regular pot smokers in Colorado and Washington. It also said California would have $2.2 billion marijuana market bringing in $519 million worth of taxes. New York has the potential for a $1.1 billion marketplace if cannabis is legalized. Arizona and California already allow for medical marijuana. Oregon, Florida, Alaska and the District of Columbia have marijuana legalization on the November ballot. Harvard University economist Jeffrey Miron estimates the U.S. marijuana market totals $14 billion and legalization would reduce police and prison costs by $7.7 billion annually. But opponents of marijuana legalization aren't convinced. Steve Pasierb, president and chief executive of the Partnership for Drug-Free Kids, worries about marijuana being marketed toward teenagers and children if the legalization wave continues. Pasierb recently told a group of state attorneys general of some the cognitive health impacts of pot smoking by teens. The Drug Free America Foundation counters the economic argument behind legalization pointing to the societal costs of alcohol and tobacco. Marijuana has been illegal in the U.S. since the early 20th century. Internationally, cannabis has been decriminalized to a varying degree in a number of countries including Mexico, Portugal, Nepal, the Netherlands and Switzerland. A number of other countries such as Jamaica, Cambodia and Costa Rica have prohibitions on marijuana that are largely unenforced.